Explore and appreciate the many different styles of beer from around the world with this great three glass collection. 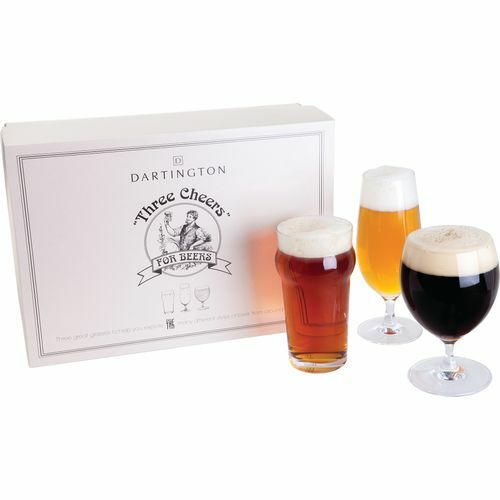 Theres a classic pint glass, a stemmed Pilsner lager and a footed glass for strong, dark ales. These fine crystal glasses are dishwasher safe. Supplied in a presentation box complete with a serving guide.